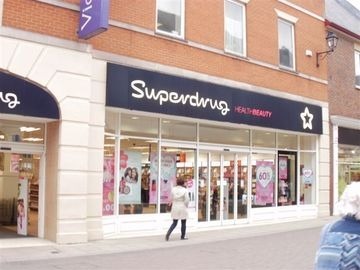 Superdrug here at Vicar Lane is a makeup lover’s paradise and if you are ever short on anything, a quick trip to Superdrug will easily make sure your bathroom cabinet and your makeup bag are nicely stocked up. You will find an assortment of very popular high street make up brands selling everything from pretty pink blushers and the perfect matte foundation to a dramatic red lipstick and a contour set. Brands include Rimmel London, L’Oreal, Tanya Burr, Sleek and many more. Covering a range of budgets, that are all still very affordable you are sure to find something you need. 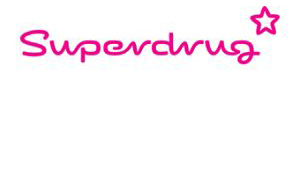 Superdrug also has a fantastic range of toiletries including shampoo, conditioner, toothpaste, face wash and more. If you’re in need a new perfume you will also find some gorgeous scents here at Superdrug for both men and women. These can also make a great gift for that special someone if they love fragrances. After you’ve finished looking good, you can make sure you feel extra good too with the brilliant range of health products. You’ll find remedies for asthma, colds, eye care and many more! Finally, remember that no one misses out when it comes to Superdrug so the fantastic mother and baby range will see you smoothly through motherhood and will make sure that your little one has everything it could need to be happy and healthy.